To post or not to post that is the question, and it’s apparently one that celebs haven’t been able to find an appropriate answer to. Thanks to screenshots, these amazingly cringeworthy celeb photos live on, even after being deleted from social media. Swift may have initially thought the photo was a good one, but she quickly reconsidered and hit the delete button. 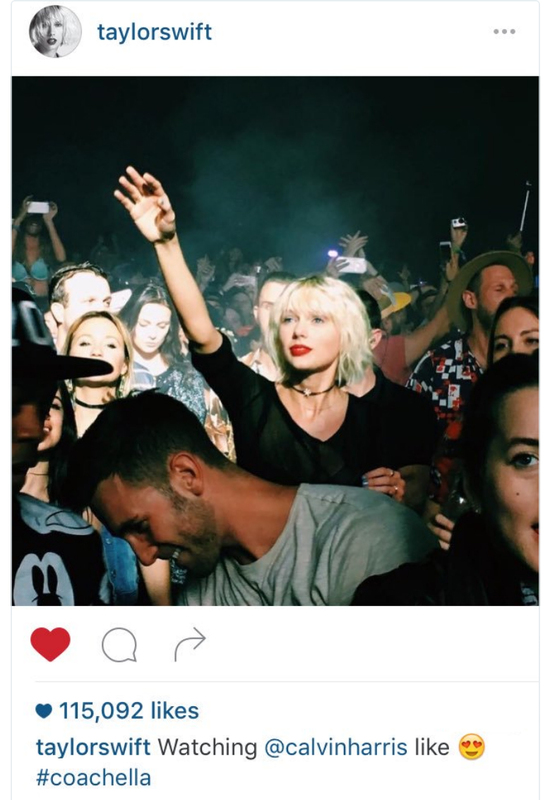 Tay Tay may have realized the photo made her look, well..frankly kind of desperate as she reached out for her ex-beau Calvin Harris during his Coachella performance.